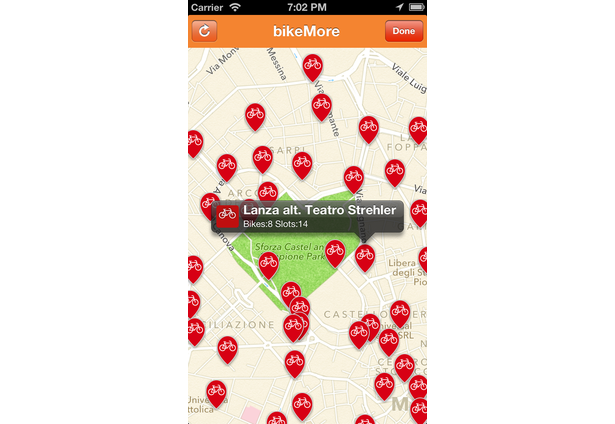 bikeMore is the ideal companion for bikeMi, the bike sharing service of Milan, Italy. Are you going out? 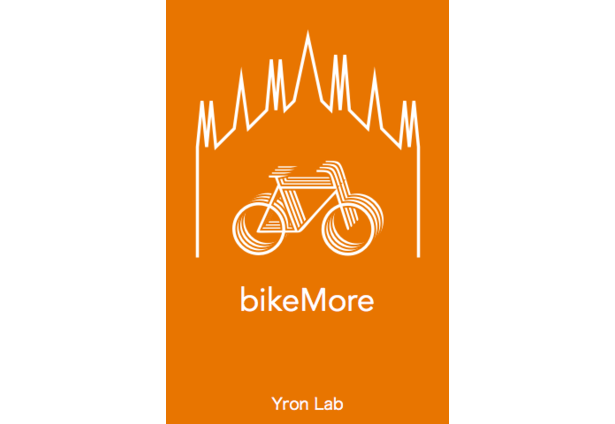 bikeMore guides you to the nearest bike station. 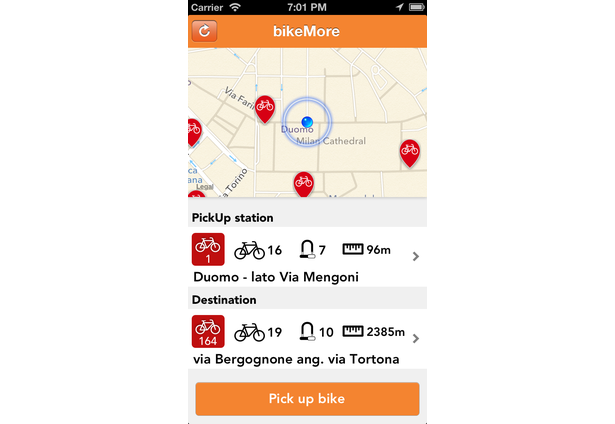 Pick up a bike and bikeMore will assist your ride, sending notifications when the free period is expiring, and helping you to find a near station to drop your bike. 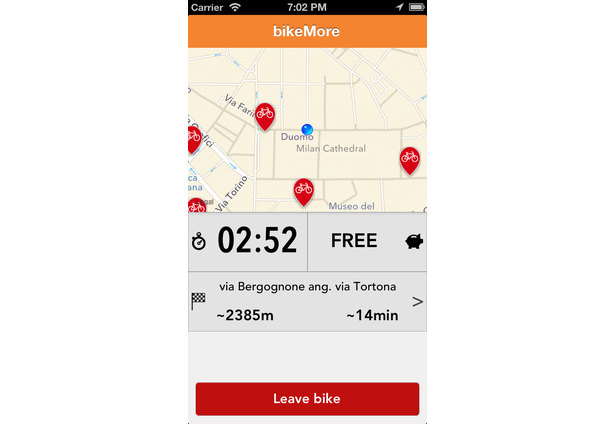 You can also set a destination and keep trace of the distance and time while you're approaching or simply navigate Milan's map to check bike stations and bike availability. Comments for this submission are closed. View the software in yron's portfolio to continue the conversation.